It’s late December 2012 as I update this page, and Frankie Valli and the Four Seasons are still performing to sold-out shows around the world. 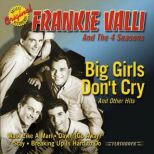 Their unique Italian influenced doo-wop sound with Franki’s strong falsetto have a big part in rock history. Their many honors include induction into the Rock and Roll Hall of Fame in 1990, the Vocal Group Hall of Fame in 1999, and a hit musical “Jersey Boys” based on their careers. As a group, they are amongst the best-selling music groups of all time having sold over 175 million records worldwide. The powerhouse combination of Franki Valli singing and Bob Gaudio’s writing produced hit after hit and 27 Top 40 singles. Their music was strong enough that they not only survived survive the British Invasion in 1964, but they also had their strongest year ever, matching The Beach Boys as the only white American bands that didn’t get crushed. The musical “Jersey Boys” musical opened on Broadway in 2005, documenting the rise and eventual break up of the original members of the Four Seasons. It was a hit, won a bunch of awards, and is still touring worldwide. 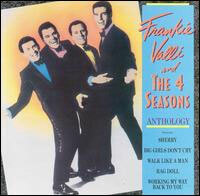 Franki Valli’s name (born Francesco Stephen Castelluccio) is permafixed to the Four Seasons, but also had a strong solo career with hits like “Can’t Take My Eyes Off Of You” and “Grease”. He also made several appearances in the HBO series The Sopranos as mobster Rusty Millio. Bob Gaudio was Franki’s partner in The Four Seasons and wrote many of the band’s songs and went on to writing and producing hit songs and soundtracks for many other big names. He’s a member of the Songwriters Hall of Fame. Four Season’s producer Bob Crewe has also written or produced a host of hit tunes for other artists and is also a member of the Songwriters Hall of Fame.